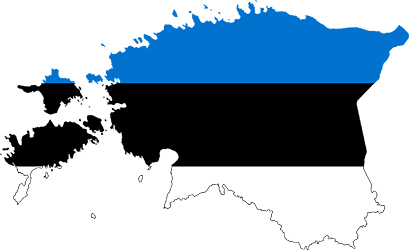 Estonia’s highly imaginative approach to choral music is not in any way a recent development. 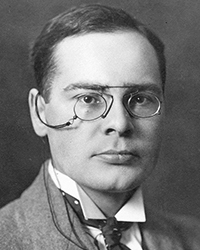 The country’s most dominant figure of the earlier twentieth century is Cyrillus Kreek (1889–1962), who in addition to being a composer was also a choral conductor and a collector of both Estonian and Swedish folk music. Not only did he make countless arrangements of these songs and hymns throughout his life, but they permeated Kreek’s own choral compositions which, while they display the superficially aloof demeanour typical of hymnody, retain an intense, personal immediacy that makes them powerfully poignant. Kreek’s oeuvre has been undergoing something of a renaissance in recent decades. His music was essentially outlawed after World War II for reasons of politics and ideology, but since the late 1980s, coinciding with Kreek’s centenary and, shortly after, the re-establishment of Estonian independence, Kreek has been increasingly celebrated as a composer of surprising ingenuity as well as, from a religious perspective, ecumenicity, drawing on a variety of forms of Christianity, from both East and West. Three of Kreek’s Taaveti laulud – settings of verses from the Biblical Psalms of David – were featured at this year’s Estonian Music Days, and they demonstrate something of the quietly adventurous nature of Kreek’s music. His treatment of Psalm 121, composed in 1923, is one of simple contrasts, juxtaposing low, lugubrious references to lifting one’s eyes to the hills (as though afflicted with tiredness, only achieved with effort) with a lighter middle section reflecting on the nature of God, introducing richer harmonies, filled with hanging sevenths. Having created a warmer soundworld, Kreek takes the music back down into the depths from whence they came. His take on Psalm 137, which dates from 1944, is more substantial. One of the most painful of the Psalms (lamenting the Israelites languishing in the wake of the Babylonian conquest of Jerusalem), Kreek’s setting is very much more Orthodox in nature, using male voices only, homophonic and following a chant-like procession throughout. The air of melancholy is kept understated at first, suddenly plunged into tonally-conflicted plangency at the prospect of being forced to sing “one of the songs of Zion”. But what makes the piece yet more emotionally broken is its other Orthodox trapping, inserting ‘Hallelujah’ at the end of each phrase. The effect in such a context as this – in terms of both words and music – is highly dramatic, bespeaking an inspiring determination to praise even in the midst of profound suffering. It brings to mind the line from W. H. Auden’s ‘Atlantis’, “Stagger onward rejoicing”, and injects into Kreek’s mournful music an extra layer of poignancy, particularly as these Hallelujahs themselves become harmonically contorted, at the end setting up a drone that underpins the final line (with a beautifully extended final Hallelujah). This is music at its most transparently heartbroken, where all that remains is hope. Kreek only sets the opening lines of Psalm 141 (also composed in 1923), turning its cries for help into a linear emotional journey. At first, there’s an almost lilting quality to the text’s implorings, a lightness to the harmonies: Kreek makes the choir cling to an attractive suspended 9th chord, the notes of which eventually peter out, until just two women remain, sustaining a bare fifth. The men then explore the lowest regions of their register, before the women return, all repeating the opening line in a totally transfigured way, slow to the point of being practically motionless, and shrouded in darkness. As an extra, i’ve included the encore from the concert, one of Kreek’s sacred folksong settings, Kui suur on meie vaesus. Despite being the oldest of these pieces, written as far back as 1918, it’s even more tonally lively than the Psalms, exploring rich harmonies through two verses, the first strong and robust, the second much softer. The text structure places a negative emphasis on the middle line of each verse, and Kreek uses this to colour the music, with deep flecks of chromaticism at the epicentres, surrounded and ultimately resolved by warmer consonance on either side. Both the music and the words are profoundly sombre, yet Kreek clothes the text such that its emotional earnestness and honesty is immediately apparent, lending the piece a tear-stained quality that’s very moving. As i noted in my original review of the concert where these pieces were performed, the delicate convolution of Kreek’s harmonies, which occasionally even hint at the kind of blue note suspensions of jazz, is surprising, impressive and extremely effective. These performances were given by Vox Clamantis, one of Estonia’s very finest choirs, who specialise in both early and contemporary music. Conducted by Jaan-Eik Tulve in the wondrous acoustic of Tallinn’s Niguliste Church, they demonstrate just how fresh and immediate Cyrillus Kreek’s music continues to sound today. Päeval ei pea päikene sind vaevama, ega öösel kuu. Ma tõstan oma silmad üles mägede poole, kust minu abi tuleb. Mu abi tuled Jehoova käest, kes kõik on teinud, kõik teaeva, maa on teinud. Jehoova on, kes hoiab Sind, Jehoova on su vari, sinu paremal käel. Päeval ei pea päekene sind vaevama, ega öösel kuu. Ma tõstan oma silmad üles mägede poole. The Lord is thy keeper, the Lord is thy shade upon thy right hand. Paabeli jõgede kaldail istusime meie ja nutsime, kui mõtlesime Siioni pääle. Hallelujah. Me riputasime kandled sääl remmelga okste külge. Hallelujah. Need, kes meid sääl vangi viisid ja kes meid ära viskasid, nad nõudsid rõõmulaulu meie käest. Hallelujah. Et laulge meile laulu Siionist. Hallelujah. Kuidas võime laulda Jehoova laulu võõra rahva maal? Hallelujah. Kui mina unustan Sind, Jeruusalemm, siis unustagu minu parem käsi end. Hallelujah. Ja jäägu keel mu suulae külge, kui ma sinust ei mõtle. Hallelujah. Kui ma ei lase Jeruusalemma enese ülimaks rõõmuks saada. Hallelujah. By the rivers of Babylon, there we sat down, yea, we wept, when we remembered Zion. Hallelujah. We hanged our harps upon the willows in the midst thereof. Hallelujah. For there they that carried us away captive required of us a song; and they that wasted us required of us mirth. Hallelujah. Saying, Sing us one of the songs of Zion. Hallelujah. How shall we sing the Lord’s song in a strange land? Hallelujah. If I forget thee, O Jerusalem, let my right hand forget her cunning. Hallelujah. If I do not remember thee, let my tongue cleave to the roof of my mouth; Hallelujah. if I prefer not Jerusalem above my chief joy. Hallelujah. Olgu mu palve kui suitsetamise rohi Su palge ees, mu käte ülestõstmine kui õhtune ohver. Lord, I cry unto thee: make haste unto me! Patustepõlve seisus ei tee meid kartlikuks. See püha Jeesu veri, see katab meid kui meri, ta külje haavusse. Meid hinge surmast Issand nüüd armust ärata. Ja meie kurja südant Sa ise sureta. Uut elu anna jälle, et südame ja meele Su poole tõstame. Whilst great is our poverty, still greater is our blessing. Sinful life will not lead to piety. But Jesus’ holy blood shall cover us like a sea, flooding from his wounds. Let Your grace awake our souls, Lord be merciful. And redeem our evil hearts. Give us new life that our hearts and minds may ascend towards You.